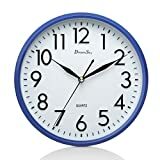 i Click 'view all' to instantly compare this good deal with offers on other top wall clocks. 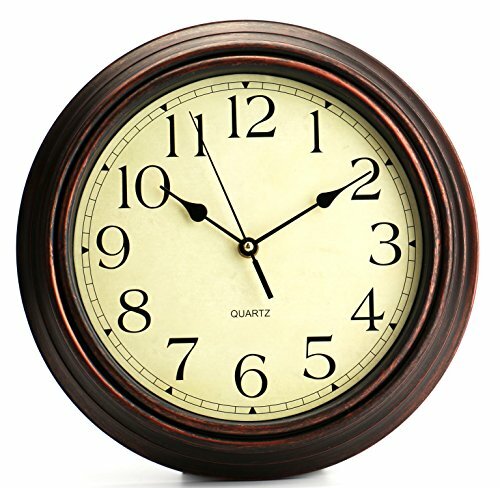 Bekith 12" Classic Clock Retro Non Ticking Quartz Decorative Wall Clock is currently selling at $13.76, approximately $0.01 lower than average, giving a potential saving of $0.03 right now. With a lowest price of $13.76 and an average of $13.77 it is selling on the low end of its usual range. Price volatility is 0.3% (meaning it does not change often), so the price should stay low for a while. Right now this product is a recommended 'good deal'. The current deal is also the best price on this item over the last month. 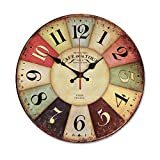 Compare the current price, savings (in dollars & percent) and Buy Ratings for the top Wall Clocks that are closely related to Bekith 12" Classic Clock Retro Non Ticking Quartz Decorative Wall Clock. Here is how Bekith 12" Classic Clock Retro Non Ticking Quartz Decorative Wall Clock compares with other leading Wall Clocks. Bekith round classic clock tells the time in elegant style. With its antiqued brown case, flat glass lens and parchment-look dial, this clock is as timeless as they come.The simple design offers quick and easy installation. All you have to do is insert a single AA battery (not included) and the back slot makes it easy to hang. FeaturesRound in shape. Required 1 AA Battery Not Included.Classic frame with white dial face dresses up any roomStylish retro wall clock. Easy To Hang.Plastic Case And Lens, makes it easy to clean and keeps dust away from dial.